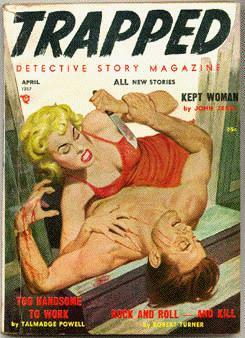 Annual pulp, reprinting mystery fiction by well-known writers from other Standard Magazines titles. 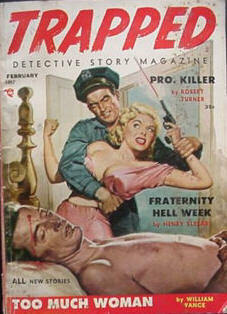 While rumours exist of a 1950 issue it has never been located and was probably not published. 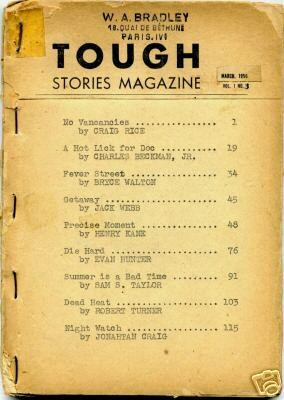 Volume 1 #2 was the first issue registered for copyright. 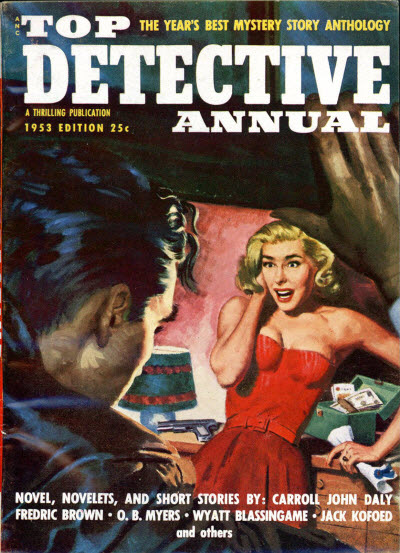 David X. 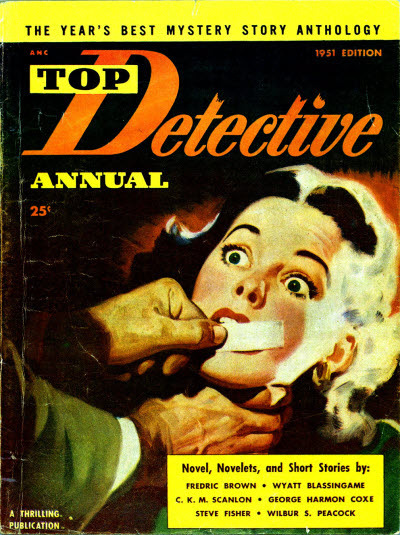 Manners - Editor: Top Detective Annual, 1952. 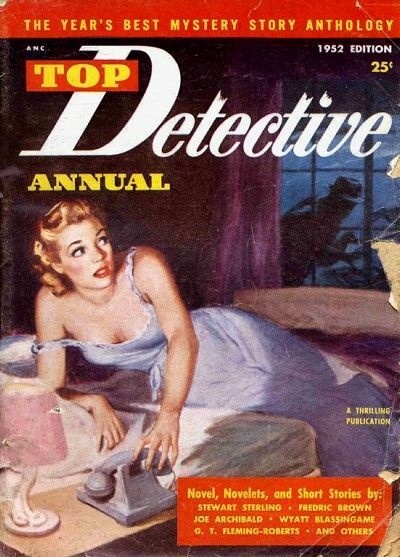 Everett H. Ortner - Editor: Top Detective Annual, 1953. 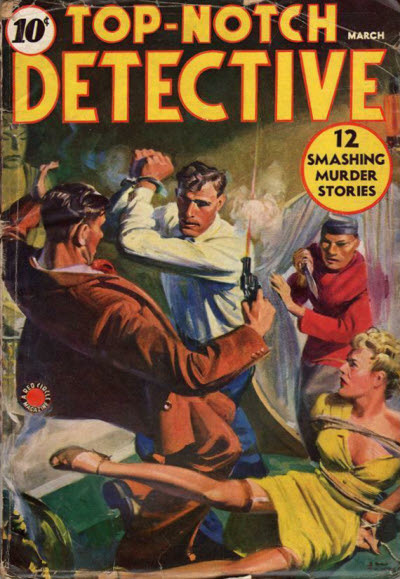 Little is known about this magazine which promised 12 Smashing Murder Stories in each issue. 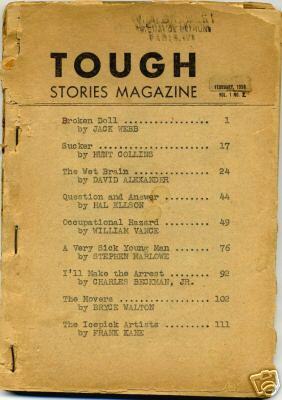 It began with vol.2 no.5 and so presumably replaced an earlier title, but it is not known what. 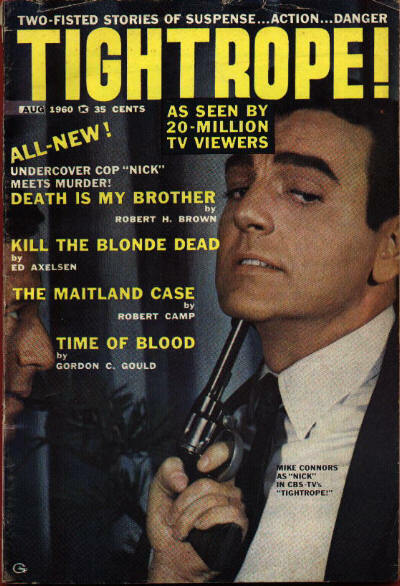 A crudely (hand) assembled digest-sized magazine, with pages stapled together (without spine, seemingly as issued), official page numbers penned over printed numbers, some pages crossed out (much like an uncorrected proof). 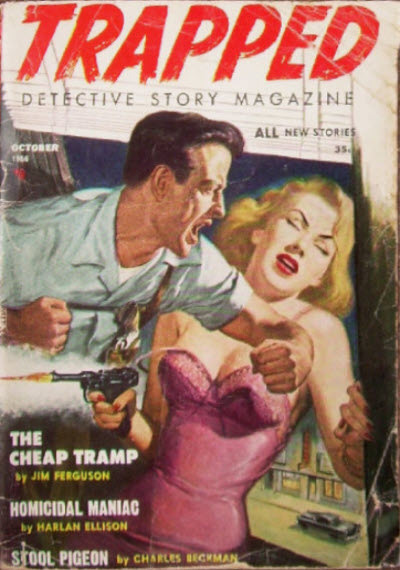 It is unclear if this was ever offered for sale. 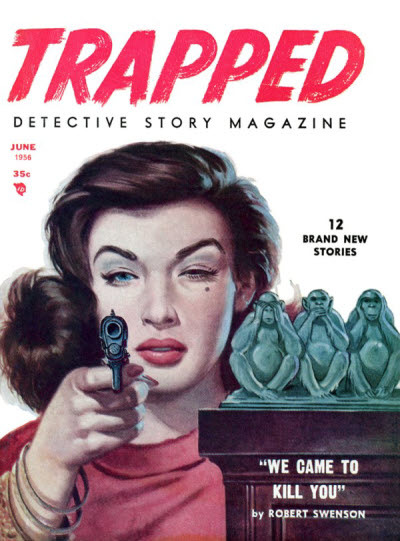 Guilty Detective Story Magazine and Trapped Detective Story Magazine were companion magazines launched by Feature Publications in June/July 1956. 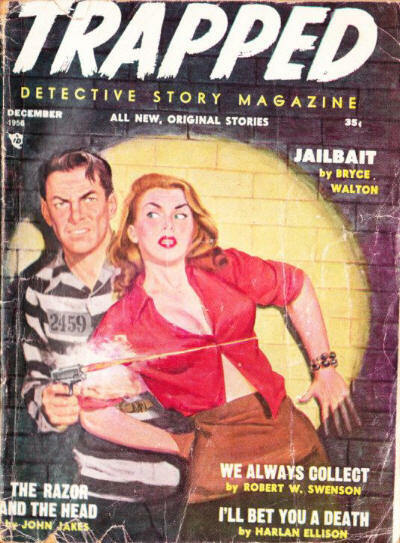 Both determined to show that the spirit of the 1940s detective pulp magazines was still alive and well in the 1950s, albeit in a digest format. 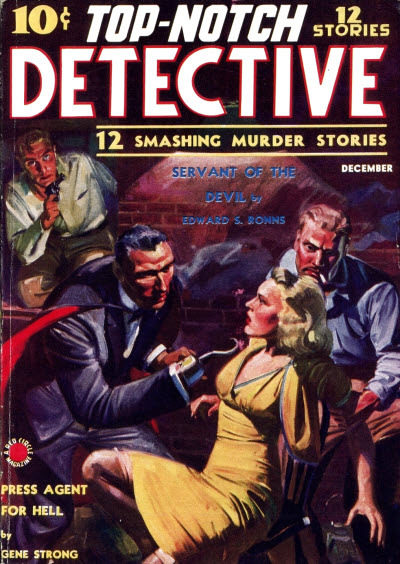 Guilty Detective Story Magazine ran for 35 issues and Trapped Detective Story Magazine for 34 issues, initially alternating on a bi-monthly schedule. 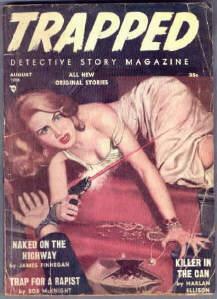 18 · A Beautiful Dame with Money · Talmage Powell · ss; given as by Talmadge Powell. 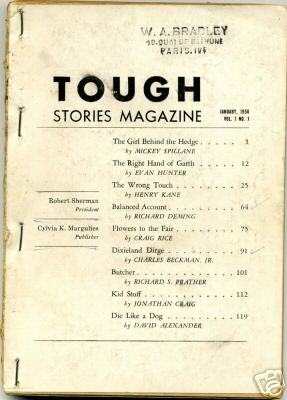 Too Handsome to Work · Talmage Powell · ss; given as by Talmadge Powell. 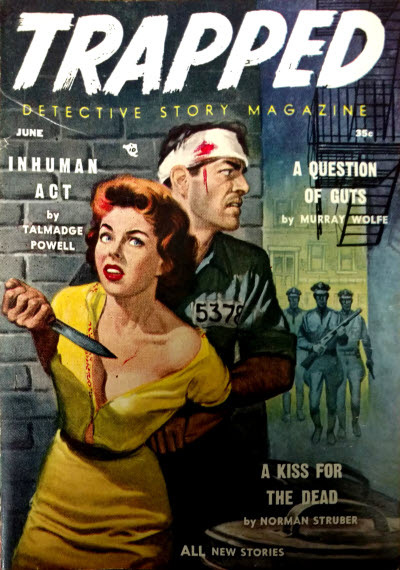 Inhuman Act · Talmage Powell · ss; given as by Talmadge Powell on the cover. 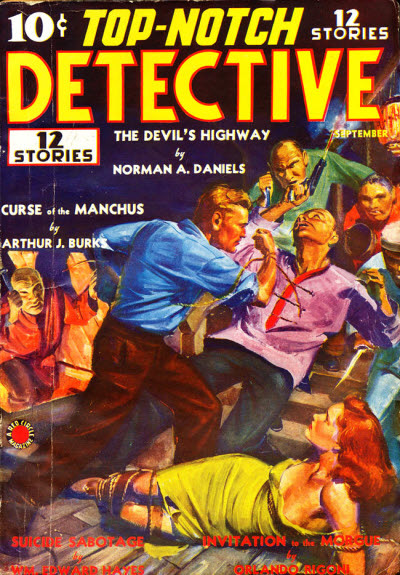 A Question of Guts · Murray Wolf · ss; given as by Murray Wolfe on the cover.